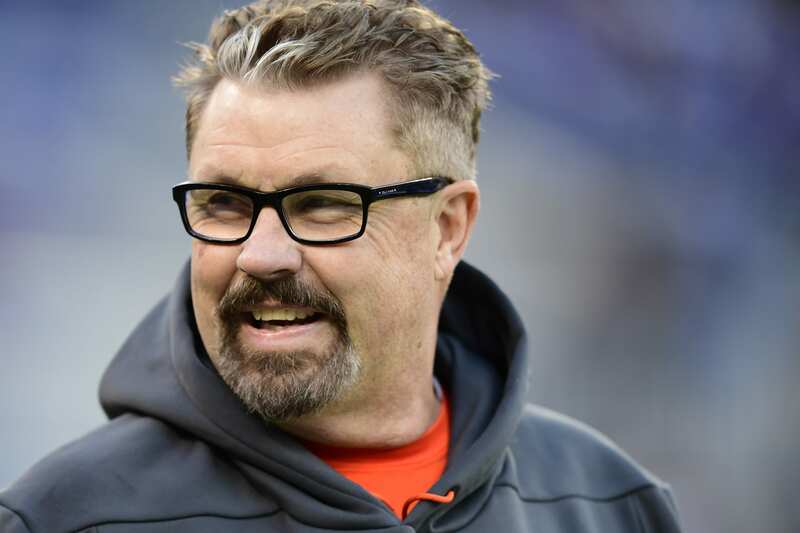 Not long after officially introducing Adam Gase as their new Head Coach, the New York Jets secured a new Defensive coordinator in Gregg Williams. Despite a scarred history that includes his role in Bounty Gate, he is the right man for the job. His experience and aggressive style should re-ignite the dormant Jets defense. Williams’ arrival will also allow his similarly bold counterpart, Gase, to right the ship on offense while he focuses all his energy on the defense. Williams joins the Jets with a lengthy resume that includes 20 years of experience as a head coach or defensive coordinator. He recently led the resurgent Cleveland Browns to a 5-3 record as interim head coach. Some thought he had earned the job in Cleveland permanently, but they elected to go with offensive coordinator Freddie Kitchens instead. Regardless, Williams’ success with coaching defenses is impressive. He has led seven top-ten ranked defenses in yards and five top-ten ranked defenses in points . He also helped the Browns reduce their points allowed total for the second straight season, ranking 21st. Williams brings with him a 4-3 scheme that relies on heavy blitzing, which has garnered positive results. The Browns finished last season with 31 takeaways, the second highest total in the league behind the Chicago Bears. It should be a huge boost for the Jets defense, which couldn’t create enough turnovers under Todd Bowles. Williams’ play-calling and bold reputation should spark a Jets defense that has become complacent in recent years. Jamal Adams bemoaned the lack of “dawgs” on the defense, indicating the need for fire in the hearts of his teammates. Williams can bring back that fire. He won’t allow the Jets to lie down; he can give them the much-needed attitude adjustment to spur them and their confidence. His 4-3 scheme should provide more opportunities for certain players on the defense. With more men up front in the trenches, linebackers like Darron Lee will have the chance to play more freely in the open field. More men at the line will provide the capability to unleash the lion in the “Big Cat”, Leonard Williams. He’ll be less likely to get double-teamed and could certainly see his sack totals increase next season. More blitzes by the defensive line should also create big plays by the secondary. Adams and co. will wreak havoc on opposing offenses when plays break down due to pressure up front. Meanwhile, underperformers like Trumaine Johnson can certainly redeem themselves. Quarterbacks will have to make earlier throws, allowing Johnson and others to maintain better coverage and create more turnovers. Combining the equally intense personalities of Adam Gase and Gregg Williams on the same staff is daring, but it’s a very good bet by the New York Jets. Williams becomes the sole coach of the defense while not having to worry about the rest of the team, which he had to do as the head coach in Cleveland. All of his passion and prowess will go into resurrecting the Jets defense. On the flip side, head coach Gase will not have to worry about his defense, knowing it’s in the capable hands of Williams. He will center his attention on the offense and the development of his promising young quarterback, Sam Darnold. Gase’s innovative mind and creativity should enable Darnold and the offense to rise to new heights. In effect, the New York Jets have hired two head coaches: one for the offense and one for the defense. With young leaders like Jamal Adams and Sam Darnold, the Jets just need to get their drive and motivation back. A new era of discipline, accountability, and tough love can light the fuse. The combo of Gase and Williams can provide the spark.